There are many ways to clean items in your home without having to use a chemical cleaner or a liquid soap. You can also use regular denture tablets to achieve the same result. The things you can clean with denture tablets is kind of amazing. Just about any item that can get wet is among the things you can clean with denture tablets. A container that is made of plastic, a stove pot, and even fabrics can be cleaned with denture tablets. You only need to use a bucket or fill your sink with water. Do you have a ceramic mug that has been stained with coffee or tea? 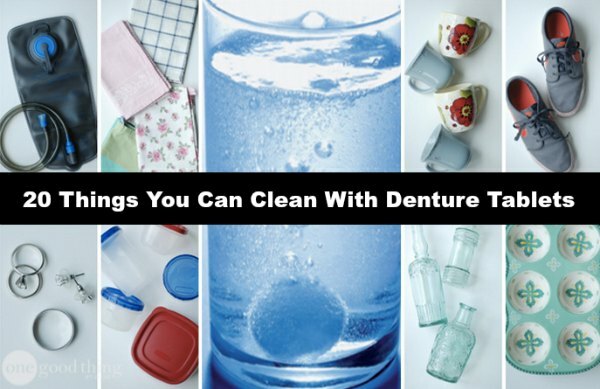 These are also things you can clean with denture tablets. You hardly need to do any work at all as the tablets will fizz and remove the stain through a chemical reaction. All you need to do is rinse them out with clean water.